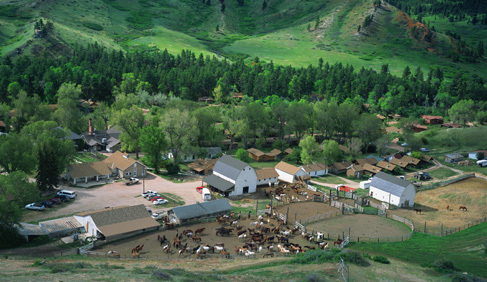 Eatons’ Ranch is a dude and cattle ranch located on the magnificent, pine-covered eastern slopes of the Bighorn Mountains in northeastern Wyoming. 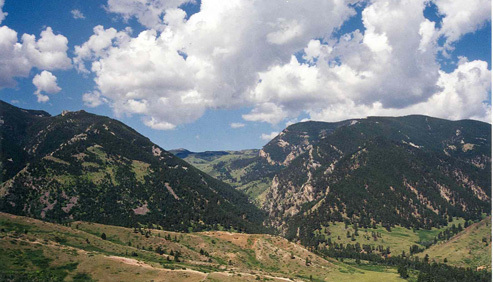 Just 18 miles west of Sheridan, the ranch consists of over 7,000 acres of beautiful open country with rolling hills, grassy meadows and hidden valleys. Twisting processions of cottonwoods and pine trees mark the course of tumbling streams that roll out of the mountains. 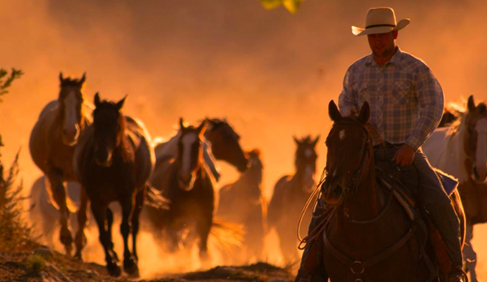 For over 135 years, Eatons' Ranch has offered guests a western experience and shared with them a way of life. This Wyoming dude ranch is proud to carry on a tradition and preserve a ranching heritage that goes back five generations. 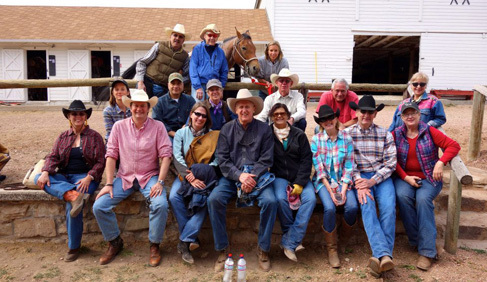 You are invited to visit and experience everything Eatons’ Ranch has to offer during your dude ranch vacation. 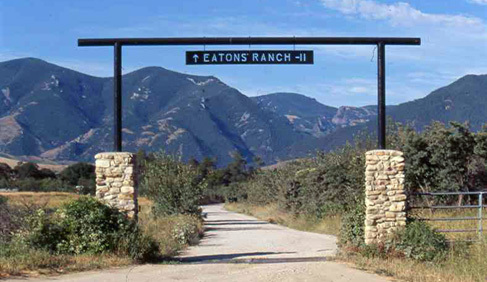 Once you have spent time at Eatons'Ranch, you will always be a part of Eatons’ and its history. 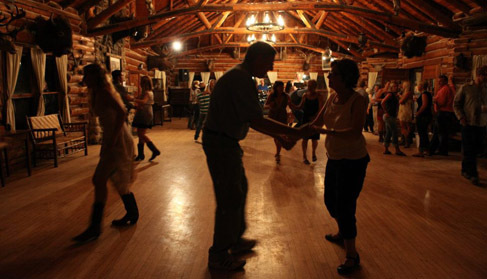 Dude ranch accommodations consist of 51 cabins and guest rooms that vary in size to suit small or large families, couples or singles. The rooms are furnished simply and comfortably in a western motif. Most rooms are arranged for two people with twin beds and all cabins have private baths. 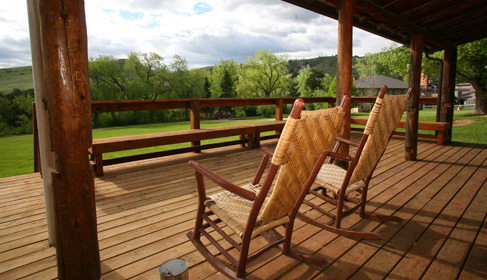 During the winter, the ranch offers B&B style getaways, including lodging and breakfast the following morning. All meals are served at regular hours in the ranch's centrally located dining room. Eatons Ranch offers made to order breakfasts. A selection of fruits, cereals, and muffins are also available. This dude ranch's lunch menu varies from buffets to barbecue cookouts. For dinner, this family dude ranch chef offers a choice of two entrees and a children’s option as well. Saturday night is barbecue night by the creek. The ranch staff will make every effort to accommodate special dietary needs with advance notice. Horseback riding is the main activity at Eatons Ranch, including the unique opportunity to ride one of the ranch's 200 horses unescorted with the permission of the Ranch. This allows guests the remarkable freedom to fully explore over 7,000 acres of beautiful country. The ranch also offers all-day rides and overnight pack trips in the Bighorn National Forest and as well as breakfast and dinner rides. 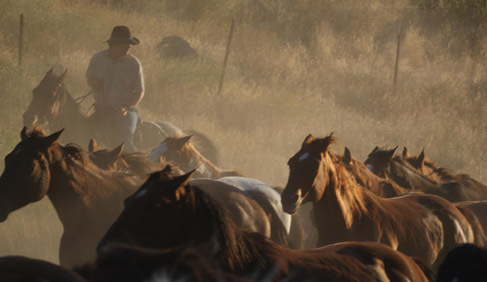 Eatons' Ranch wranglers are always available to guide rides and offer instruction. When guests are not riding, they can be found at the 40x70 swimming pool, which is walking distance from the cabins. Additional activities include fishing, hiking, mountain biking, horseshoes, ping pong, volleyball, weekly dances and softball games. Three different golf courses are also a short drive away. 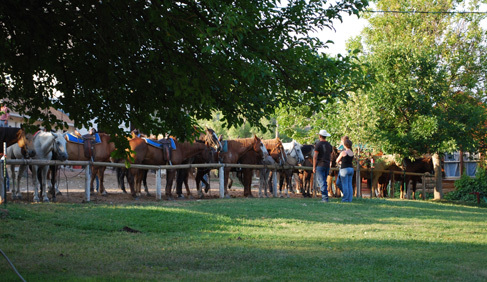 The ranch also has an extensive Children's Program for guests on Ranch Holidays and babysitting services. King’s Saddlery and Museum, Bozeman Trail Gallery, Bradford Brinton Museum and Gallery, Battle of the Little Big Horn, Trails End Historic Site-Kendrick Mansion, Sheridan County Museum. 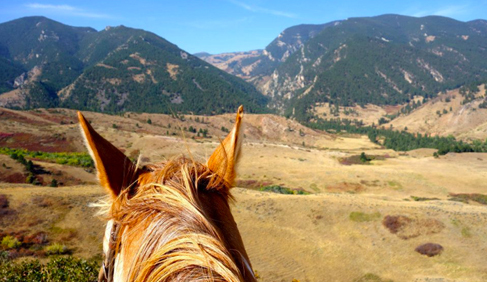 For over 135 years, this Wyoming dude ranch and working cattle ranch has offered a western dude ranch experience from its location in the magnificent, pine-covered eastern slopes of the Bighorn Mountains. Winter B&B- January through April.